Ryan F. Baker has an extensive career developing technology that makes people's lives more productive and enriched. He has been specifically dedicated to bringing innovation to the education and creative communities. At Dartmouth's Interactive Media Lab, he developed web infrastructure that supported the center's cutting-edge education software. In 2008, as the marketing director for historic record label Sugar Hill Records, he spearheaded technology and growth strategies to help musicians navigate through a turbulent industry. In 2014, Ryan followed up Bachelor's degrees in Music (Bates College) and Audio Engineering (Belmont University) with a Master's in Information Management and Systems from UC Berkeley, where he developed an expertise in front-end and back-end web development and a passion for creating clean, effective user experiences. When not building things, Ryan is usually either playing banjo, going on a hike, hitting up a new restaurant, or catching a live concert. 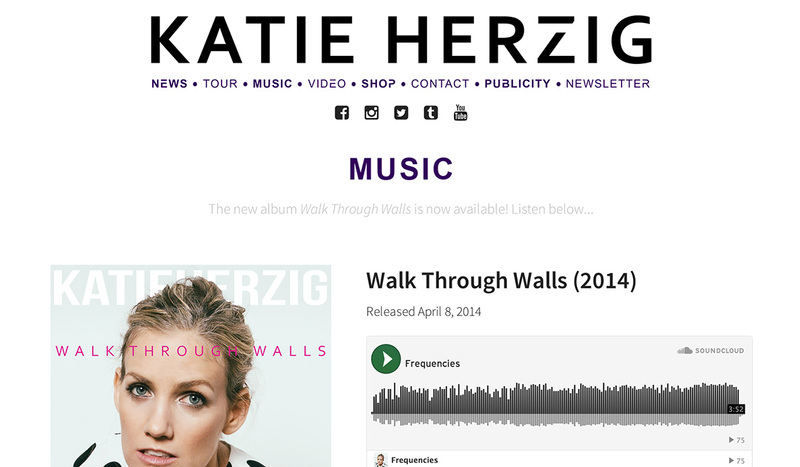 Since 2008, I have built, designed, and maintained the professional artist website for Katie Herzig, an independent singer/songwriter. 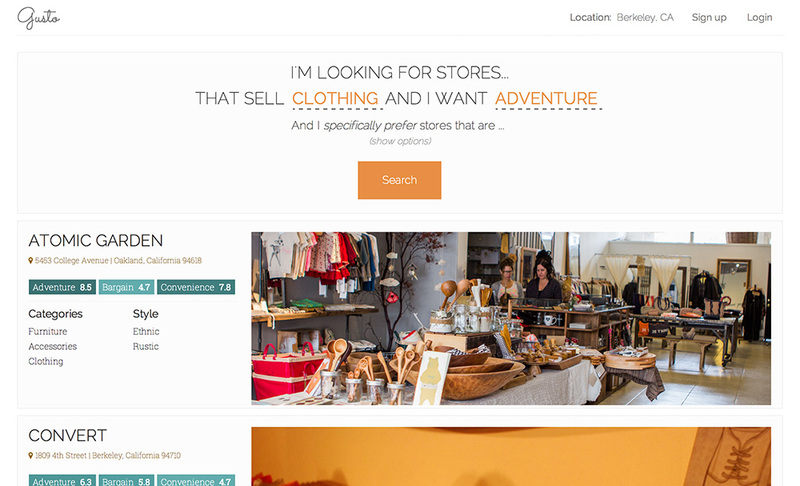 The site presents news updates, tour dates, merch store, and multimedia in a clean, minimalist design, while utilizing a custom PHP- and MySQL-based CMS. 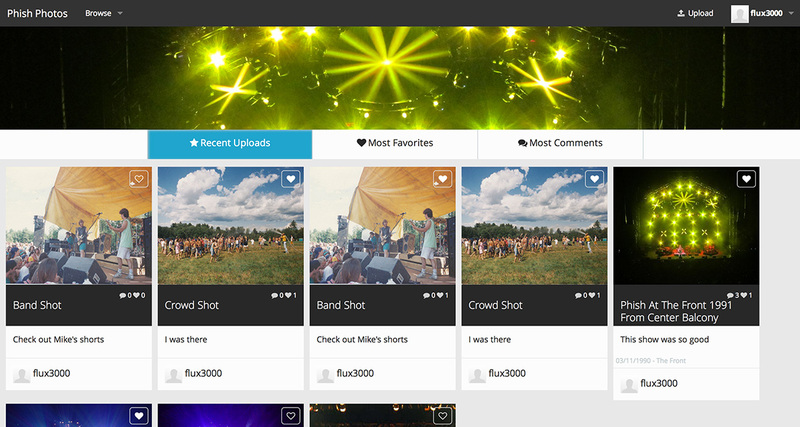 InConcert is a web platform for people who want to attend concerts and other events with groups of friends. This was a comprehensive product design project that encompassed problem identification and needs assessment, several phases of user observations and testing, and prototype generation. 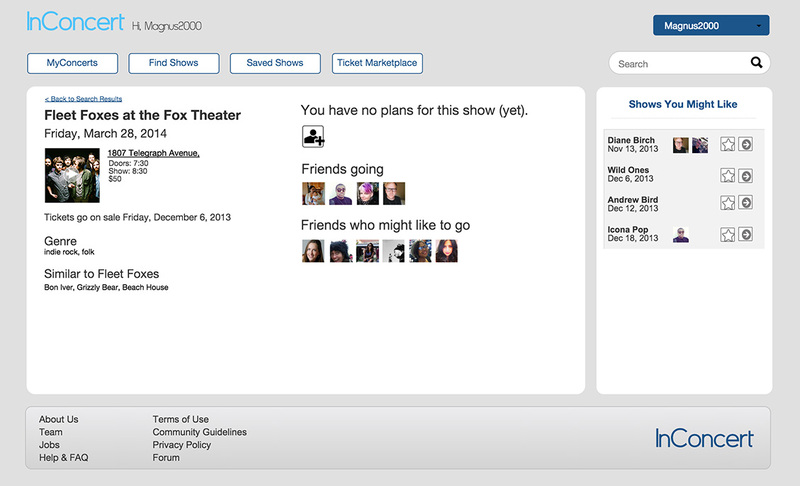 The final deliverable for InConcert was a functional prototype supporting several user scenarios, and was constructed using JustinMind software. 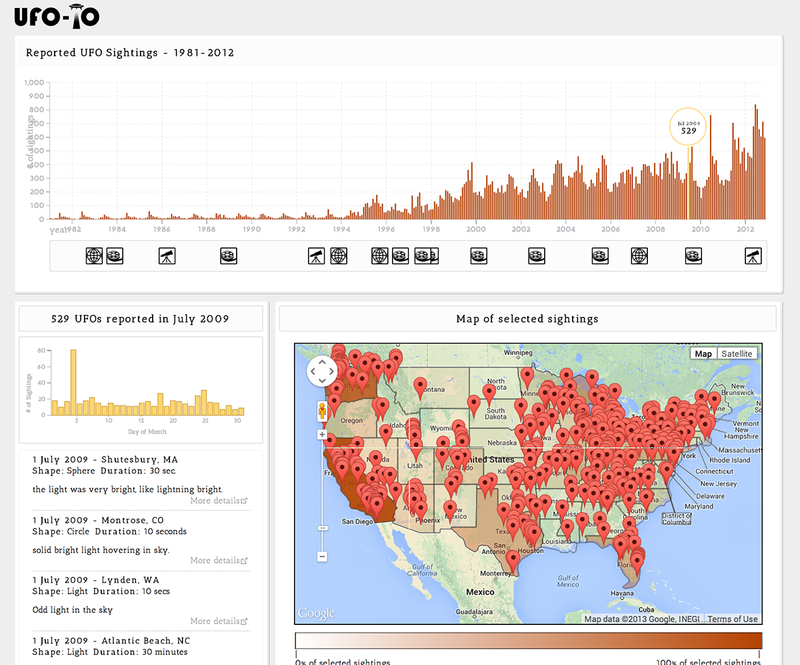 UFO-IO contains the largest, most comprehensive dataset of UFO sightings in existence, and lets users explores the data in a whole new context. This was my final project for the Information Organization Laboratory class at UC Berkeley School of Information. I built BrunchBox as a first stab at using the d3.js visualization library. 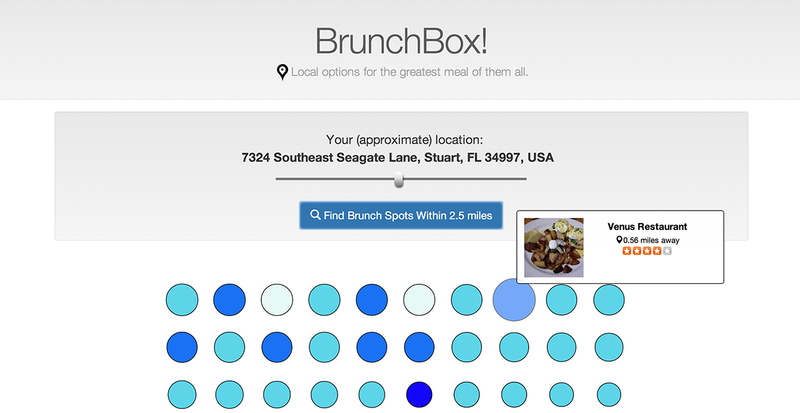 BrunchBox uses the Yelp API to display all the brunch restaurants located near the user, with simple visualizations for distance and Yelp rating. 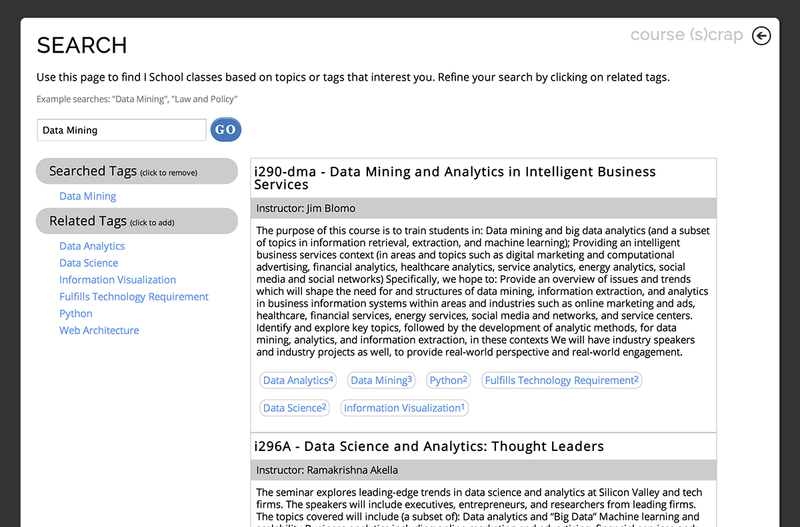 Course (S)crap resulted from a group project which attempted to cut through the 'metacrap' and present students at UC Berkeley's School of Information with a more contextual and informative experience with selecting and categorizing classes offered in the I School. 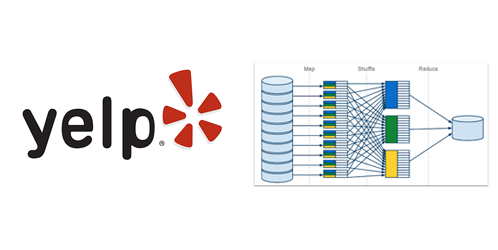 The problem that I explored in this project is whether or not it is possible to identify potential subcategories of existing categories by looking at the similarity of words found in Yelp reviews. I identified natural clusters by calculating Jaccard similarity of review word sets using mrjob (a Python package for running MapReduce), and then applying an agglomerative technique. In the end I demonstrated a solid proof of concept. Sugar Hill Records has a large catalog of over 400 titles from its 35-year history. 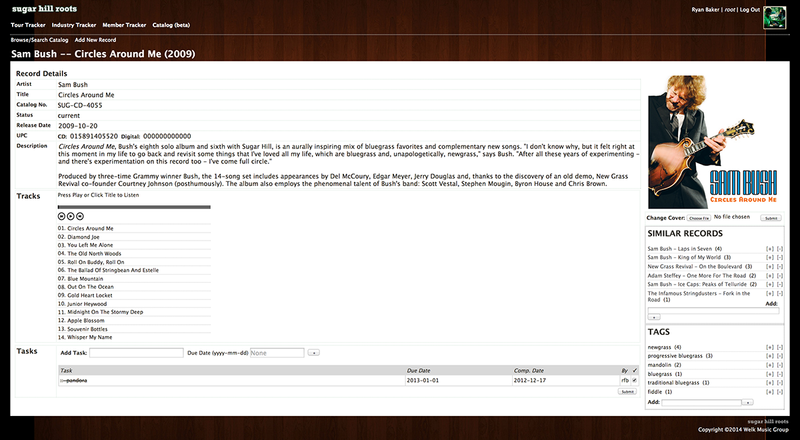 I built a MySQL-based intranet module which allows staff members to quickly store and retrieve information on each title, stream its music, and maintain a rich descriptive infrastructure using a controlled vocabulary of tags and a similarity web among artists and albums.